Please visit Cindy Sheehan’s Soapbox, at cindysheehanssoapbox.blogspot.com. This article is reprinted from Cindy Sheehan’s Soapbox by permission of the author. 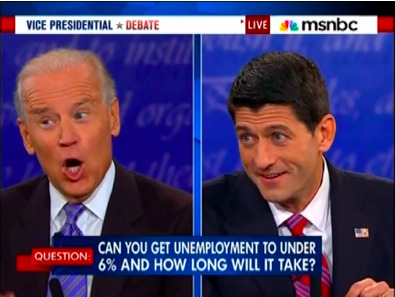 Last week, I commented on what I called, “The Greatest American Scoundrel Show,” otherwise known as the “Presidential Debates” and I gave the Socialist response to each of the questions that Scoundrel A or Scoundrel B answered—now I would like to present the same for the recent Vice-Scoundrel Debate. The following brief introduction was provided by the Sheehan campaign.